Customer experience is the ‘be all and end all’ for retail businesses today. Every retailer is vying to gain the biggest share of the customers’ attention and wallet in order to succeed; and delivering a superior customer experience is the best way retailers can achieve their goals. Therefore, they need to compete in this intense ‘customer experience’ battle ground. Moreover, for brick and mortar retail companies, the competition gets even stiffer as they have to tackle additional contention from e-commerce retail players. With all this competition and other internal & external constraints, offering a fantastic shopping experience for in-store customers is a challenge for your retail business. However, below are a few simple tips that can help you transform your in-store customer experience. Knowing and understanding customers not only by the demographic characteristics and buying history, but also following their individual shopping journey. This will enable you to go beyond the usual conventions of customer experience and drive you to innovate ways by which you can make the customer experience unique and personalized. Something as basic as knowing that a customer has visited the store on her birthday and presenting her tailored offers can leave a positive impact. Similar kind of unique and personalized experiences need to be created and delivered. This will set you apart in the perception of the customer. An important element that stores have over e-commerce is the personal touch factor. Store employees can be the brand ambassadors for your business and can thus influence the customers purchase decisions as well as enhance their experience. Therefore you need to mobilize and channelize your store employees and harness their potential to deliver a superior shopping experience. Investing in training your store employees is essential to the success of your brand. More is less in the new retail mantra. The modern day customers are demanding and how. They seek more channels for shopping, more choices of products and expect more value for the money they spend. Though this seems to be a challenging situation, you can convert it into an opportunity by incentivizing your customers with value added services for purchasing from the store. This is like an extra layer of customer service that will go a long way in compelling customers to come back to the store. Simple service options like offering to home deliver apparel after alteration or offering to take old stuff and providing cash coupons for purchasing at the store, are some techniques than can be implemented. There seem to be a few specific attributes for in-store layouts that have been tried, tested, and proven successful. Some of these attributes include speed, convenience, cleanliness, and product selection. 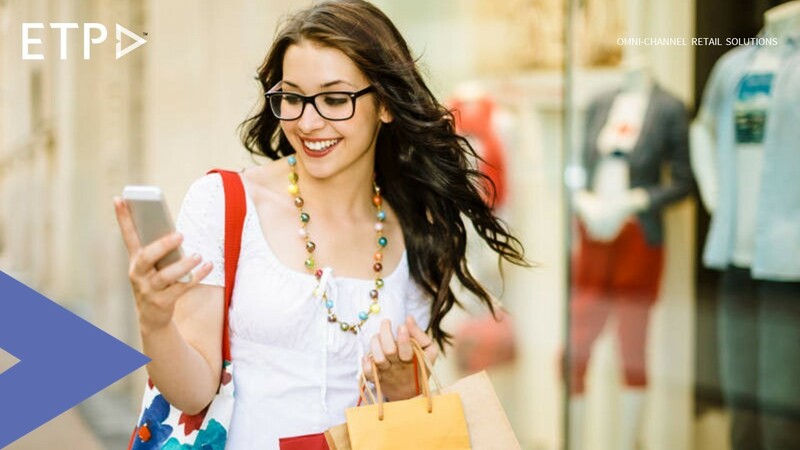 In today’s fast-paced world, where customers expect immediate assistance and instant gratification, making it easy and quick for customers to find their products or information, or providing them with different payment options for convenience and reducing their wait time at check-out queues, can significantly enhance your in-store customer experience. Using innovative retail technologies can allow you to add these capabilities to your retail stores. You must appreciate the loyalty your customers have towards your offline retail business and reward them. Customer relationship management and loyalty programs with attractive reward schemes are proven methods to enhance the brand-customer relationships. The more you reward, the more your customers will come back to buy from you, resulting into a profit churning cycle for your business while offering a superior experience to your customers. Further, these loyal customers would be your brand advocates who in-turn would use their word of mouth to bring new customers.